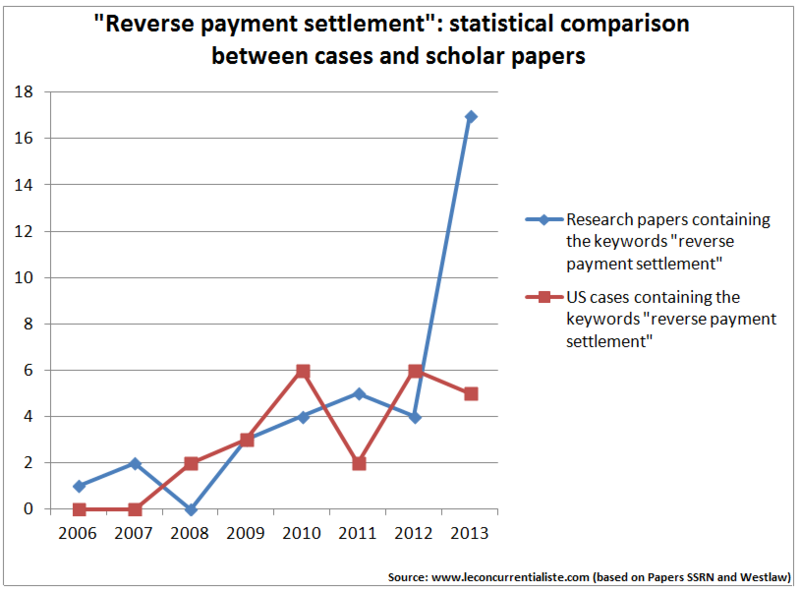 We entered the keyword “Reverse payment settlement” on the Papers SSRN search engine, as well as on WestLaw (for all State and Federal cases). 2013 was the year of Activis. Of course, the blue line illustrates the importance of this case. Papers SSRN does not gather all research papers. However, we presume that SSRN papers are a representative sample of all papers written on the subject.